Healthy Skin was put under the scientific microscope and the results are fascinating! Thanks to Dr. Raja Sivamani, an esteemed dermatologist with a deep passion for Ayurveda, our Healthy Skin tablets were tried and tested to be effective in reducing pitta and promoting natural skin health. Dr. Sivamani has done quite a bit of work in the field of dermatology and research and is an associate professor of clinical dermatology at UC Davis. We had the good fortune and pleasure to meet Dr. Raja Sivamani at a conference a few years ago, and we are so glad that we did! Dr. Sivamani and his team conducted a four-week randomized, double-blind, placebo-controlled trial with Banyan Botanicals’ Healthy Skin formulation in the spring of 2017. The trial enrolled thirty participants. Those taking Healthy Skin tablets were compared to those taking a placebo tablet and another group taking a control herb of turmeric alone. Participants were instructed to take four tablets twice daily. Twenty-eight participants completed the study without any adverse events. The results were very eye opening, and, while we have always had confidence in our products, we were quite excited to see exactly how effective they are! The group tested transepidermal water loss (TEWL), or water loss through and from the skin, and found that there was a significant decrease in water loss through the skin in the Healthy Skin tablet group, particularly in those that naturally have oily skin. There was no statistically significant change in TEWL for those taking turmeric or the placebo groups. The team was also able to develop a novel pitta grading system that correlated very well with body intensity and distribution on the face. This grading system looked at the redness distribution and intensity on the face, and it essentially serves as a measure of pitta imbalance, or vikriti, in the skin. What the researchers found is that the Healthy Skin showed an ability to soothe pitta and eliminate excess heat, supporting a clearer complexion compared to the placebo or turmeric groups. When the team looked at sebum or oil excretion, they found that overall there was no net effect on oil excretion. However, there was a trend for decreased sebum excretion in the Healthy Skin group. First of all, we want to point out that this is a small study, but nevertheless very insightful and thoughtfully done. We learned that Healthy Skin has strong effects on supporting kapha and hydration of the skin. From an Ayurvedic perspective, we know that this is preferred, given that excess ether and air elements (vata) dry out the skin, leading to an uneven texture. We also learned that Healthy Skin is effective at removing excess pitta from the body, including the skin, leading to an even and clear complexion. We also saw that it has promise for supporting a healthy amount of oil excretion. We loved that the team tested this against a single-herb control, turmeric, especially since taking herbs alone has become quite a trend and turmeric has gained a lot of attention, including for its role in skin health. Turmeric is an important ingredient in Healthy Skin, but not the only ingredient. Anyone who has studied Ayurveda knows that an Ayurvedic practitioner will rarely give an herb alone. A formulation is always given that includes herbs targeting the dosha imbalance, the tissue imbalance, the agni imbalance, and then harmonizing herbs (see our guide on How to Take Herbal Tablets for more information). It is like a mathematic, scientific equation. Different herbs support each other and bring out different qualities of each herb. That is why we believe our Healthy Skin fared out better overall! According to Ayurveda, skin health begins with the rakta dhatu (the blood tissue), which is why our formulation of Healthy Skin includes blood cleansers and pitta pacifiers, including manjistha, neem, turmeric, bhumyamalaki, amalaki, and guduchi. But the dominant herb in the blend is anantamul, an herb that superbly supports and nourishes the waters of the body, while still easing pitta. This keeps the formulation from being overly drying, which can ironically increase oiliness. This may be why turmeric alone actually increased oil excretion in the study. Amalaki and guduchi also help to maintain a balanced digestive fire. The result is a formulation that is well-balanced in action and uses herbs that work together towards a single final outcome—truly healthy skin. 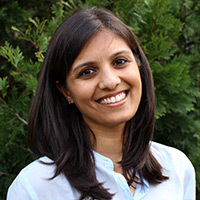 Vrinda Devani, M.D.  is the Director of Product Development and Research at Banyan Botanicals. As an Obstetrician and Gynecologist, she has a passion for women's health and empowering women towards vibrant health and living. She is a believer in unfolding the human body's potential through a blend of complementary and allopathic medicine. She has studied Ayurveda extensively under Dr. Vasant Lad and furthered her studies in Ayurvedic women's health with travels in Nepal with Dr. Sarita Shrestha. In addition to being a physician and certified Ayurvedic practitioner, she also has a love for yoga and is a certified AyurYoga teacher. Renowned for its practical elegance in balancing the body, mind, and spirit, Ayurveda often emphasizes healing from the inside out. But the Ayurvedic tradition is also rich with beauty rituals and other self-nurturing practices that focus more on the exterior of the body. With the summer season, skin will often react by becoming irritated with dryness or excessive oiliness, rashes, insect bites, and of course, sunburn. Follow these easy tips to keep pitta in check all summer long.